The eighth and current Bishop of the Episcopal Diocese of Fond du Lac, Wisconsin in The Episcopal Church.Prior to becoming bishop, he served as Rector of St. Barnabas Episcopal Church in Glen Ellyn, Illinois and as Assistant Rector of St. David Church, Glenview, Illinois. Gunter was raised on a farm in northern Indiana and worked in the family run sawmill. He received his bachelor's degree in history from Indiana University. He then taught and worked in education. He married Leslie in 1981. After college, he attended Gordon-Conwell Seminary for a time then moved to California where he taught high school. While there he was a member of a Lutheran church and volunteered as the youth leader until he joined an Episcopal church and were confirmed in 1990. In 1993 attended Virginia Theological Seminary, receiving his degree in 1996. Gunter was ordained deacon in 06/08/1996 by Bishop David Mercer Schofield and a priest on 12/21/1996 by Bishop Frank Tracy Griswold III. In addition to his pastoral work at the parish level, Gunter served as Spiritual Advisor, Chicago Episcopal Cursillo; Member of Diocese of Chicago Commission on Global Ministry; Dean, Aurora Deanery; Deputy to three General Conventions; Chaplain of the 75th General Convention; Member of Diocesan Windsor Report Task Force; Led four-member official delegation from Diocese of Chicago to Diocese of Renk, Sudan; Board of Directors – Ekklesia Project (2003-2006); Chair of Diocesan Annual Campaign; Spiritual Director on several Cursillo weekends; Spiritual Director on two Happening weekends and hand-to-hand volunteer for San Joaquin County AIDS Foundation. 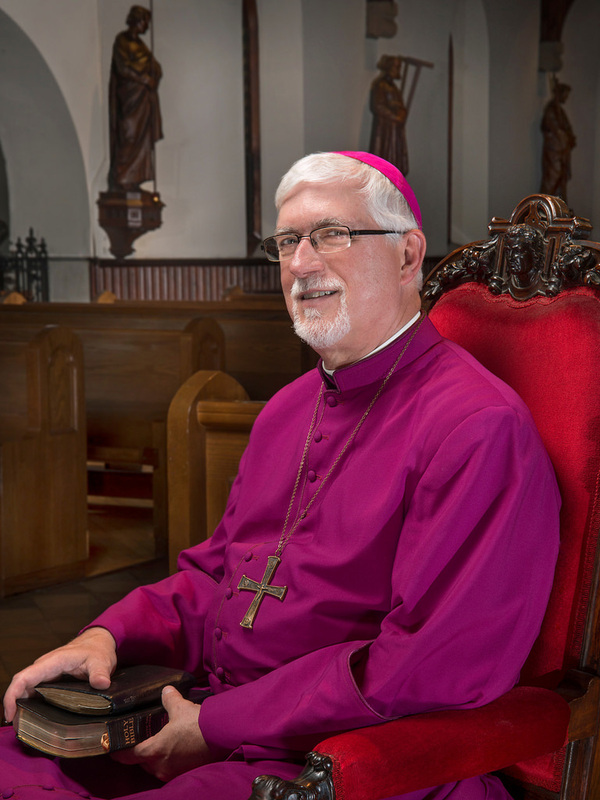 Gunter was elected bishop of the Diocese of Fond du Lac on October 19, 2013. Following a successful consent process, he was consecrated bishop on April 26, 2014 by Presiding Bishop Katharine Jefferts Schori in Appleton, Wisconsin.